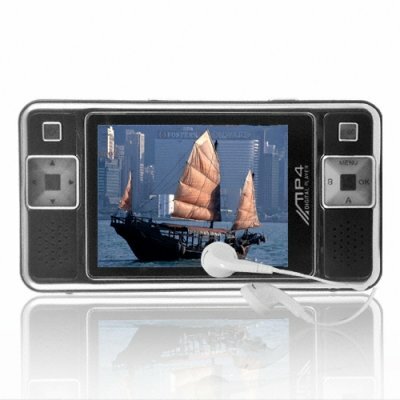 Successfully Added Multifunction Camera + Camcorder MP4 Player - 2.8 Inch Screen to your Shopping Cart. Multifunction MP4 player with an huge 2.8 Inch TFT LCD display and a built in 2.0 Mega Pixel CMOS camera and camcorder. The enormous screen is perfect for displaying the MP4 format videos with high definition and high fps, and with the included powerful conversion program, converting to MP4 is fast and simple. Added bonuses include camera and camcorder capture options, x2 3.mm earphone jacks, a NES emulator for unlimited hours of game playing fun, and PMP personalization options such as selectable on/off music and pictures. Wow everyone with the features, look, and especially the price of this high end MP4 player direct from China..